Ford has stuck very much to a winning formula and produced something that’s exactly the same as the old car. Just better. An impressive combination of small car fun with big car comfort. The nation’s favourite car. That’s the Ford Fiesta, according to the data. Despite the fact that it’s been kicking around for eight years or so now, it’s still a hugely popular model thanks to its combination of good looks, a great drive and keen deals. The fact that it does all the supermini stuff you expect a supermini to do is a given, so the only place it’s fallen behind is inside, where the dashboard looks like a mix of a Motorola RAZR phone and an explosion in a tiny light bulb factory. All that’s gone now, with the endless buttons replaced by a large touchscreen infotainment centre mounted high up on the dashboard, and a handful of switches for the heating and ventilation mounted low down by your knees. In front of the driver sits a combination of traditional dials and digital screens that are all remarkably clear, although the trip computer is rather fiddly to operate. Inside, there’s a real improvement in perception of quality. 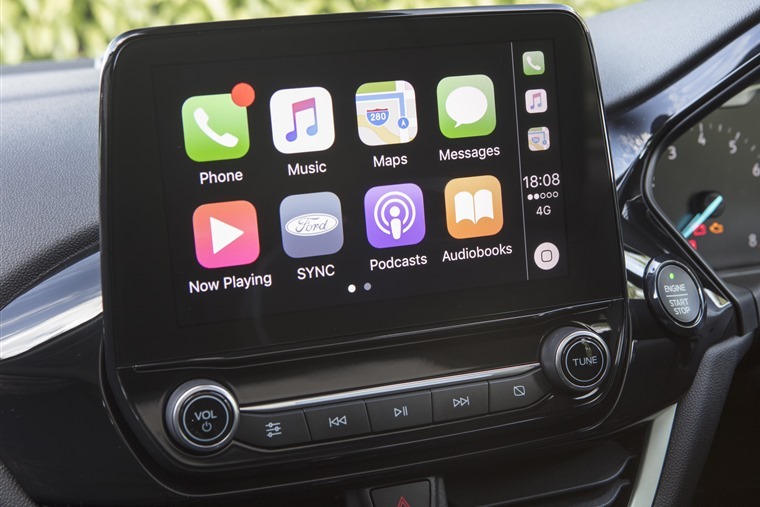 That’s also true of the infotainment, despite the promise of Ford’s Sync 3 interface - it’s crisp and clear visually, but rather tricky to use, while the voice control is hit and miss at best. 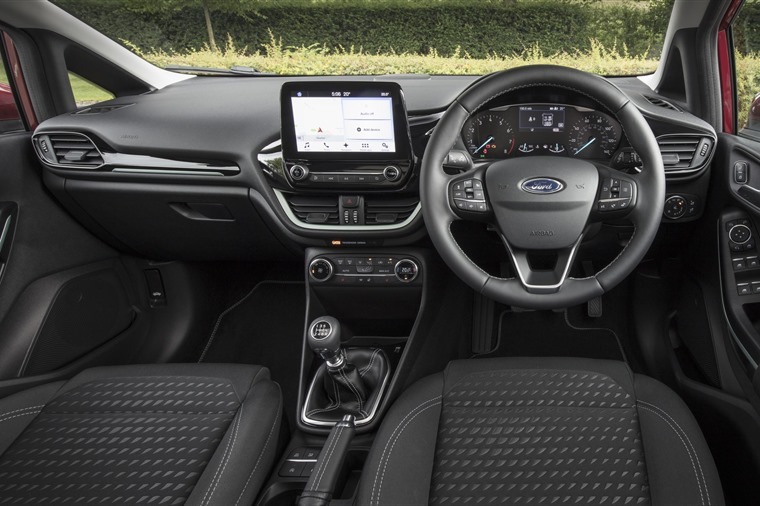 Despite its flaws, there’s a real improvement in perception of quality, thanks not only to the high-tech gadgetry installed, but also due to a smart-feeling steering wheel, soft touch plastics around the cabin, and touch points like the gear lever that feel as solid as anything from a class or two above. Everything feels reassuringly solid, making the rather steep list price of £18,145 easier to justify. Despite being all-new, that’s where the the feeling that this really is a new car ends, but mostly in a good way. Everything feels reassuringly solid, making the steep list price easier to justify. The Fiesta has grown marginally on the outside, but you’d never tell by looking at it or sitting in it. There’s plenty of space in the front two seats, but it gets tight for legroom in the rear, and headroom disappears if the optional panoramic sunroof is specified. There’s plenty of cup holders and cubby holes though, so storage shouldn't be a problem, although the boot is a little on the slight side. At least the rear seats fold down. One area that also hasn’t changed is in how the new Fiesta drives. That, incidentally, is very good news. There’s new suspension, but it’s broadly similar to what was on the car before, but it gives the car a wider track for more stability. It goes, turns and stops as well as anything else in its class. Revised bushings reduce harshness and marginally improve precision, while larger wheels over bigger brakes add grip and stopping power. 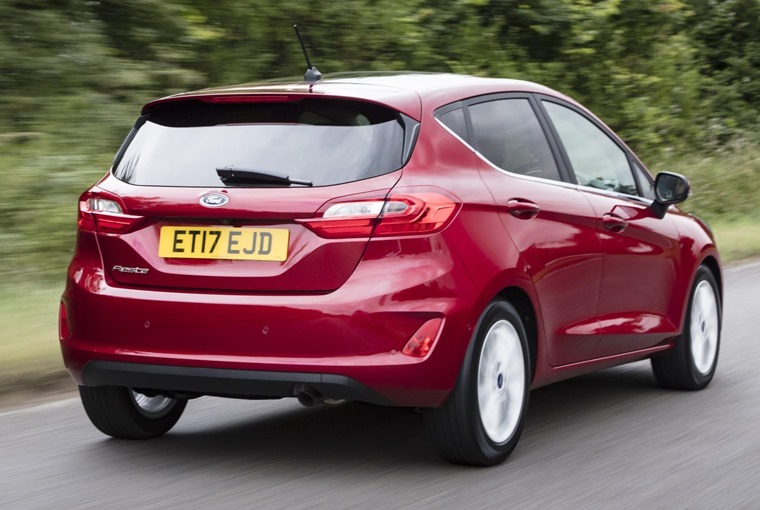 That means the Fiesta goes, turns and stops as well as anything else in its class, including the new SEAT Ibiza. Find a sinewy ribbon of tarmac across country and it’s a pleasure to drive, but it’s every bit as capable in town. It’s nimble and agile, but doesn’t give up anything in terms of comfort to achieve that. 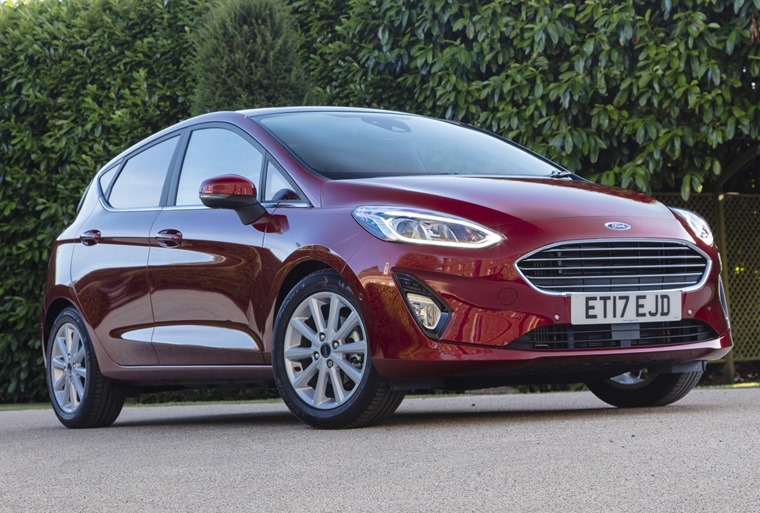 The Fiesta ends up with an impressive combination of small car fun with big car comfort and refinement. It’s a beguiling mix that leaves it more or less at the top of its class, but that comes with a caveat; outside of the inevitable warm-hatch ST model, it’s best to avoid the unusually large wheel options and the rubber band tyres they come with. An impressive combination of small car fun with big car comfort. 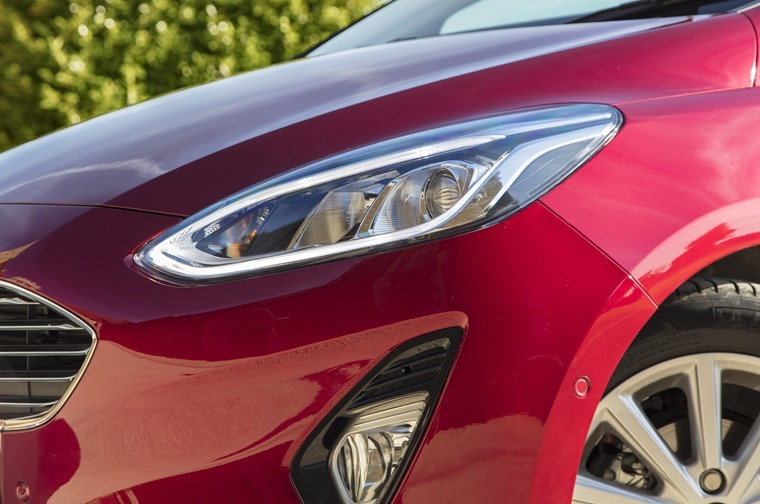 Choosing cosmetic arch-filling kerb appeal leaves the supermini struggling across surfaces that you would barely notice on a more modestly wheeled model. Also, ignore the base-level Style spec, as that’s inadequately equipped for modern life. If budgets are that tight, a budget brand would be a better bet. Everything else in the range is, frankly, superb. Equipment levels are high, refinement is strong, handling and performance are exemplary and even the warranty and dealer backup is amongst the best. 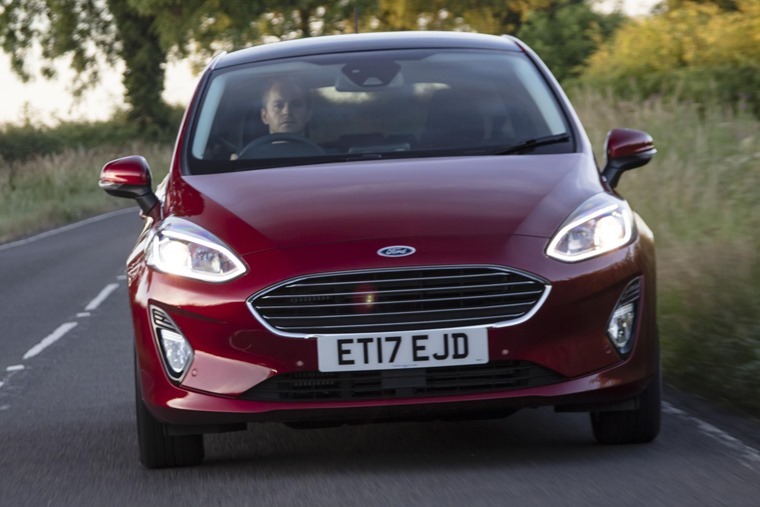 The Fiesta might be an all-new car, but thankfully Ford has stuck very much to a winning formula and produced something that’s exactly the same as the old car. Just better.